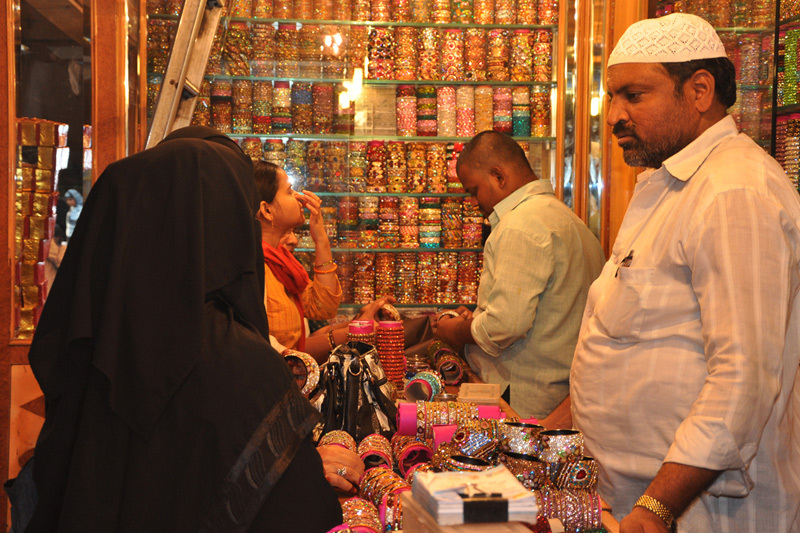 Lac bangles of Hyderabad are very popular. 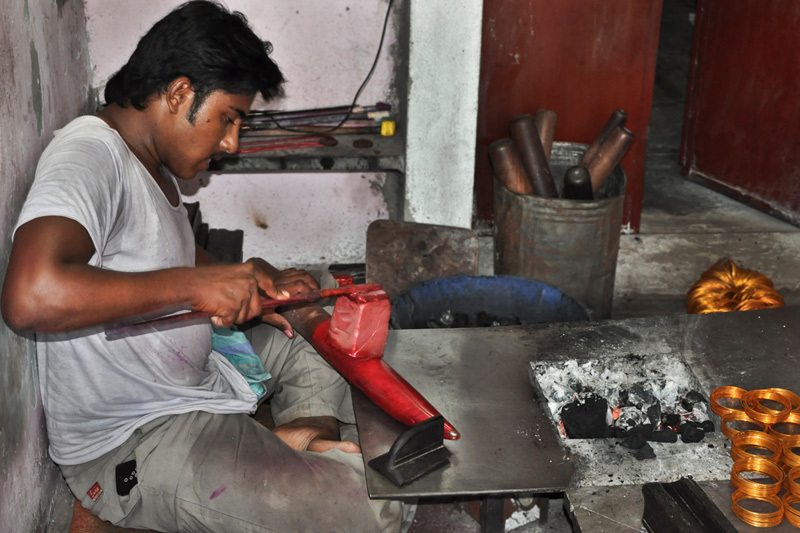 The lac used for making bangles is natural lac which is colored using colored lac by heating it. Normal lac is stuck/pasted thickly on a wooden rod and rolled over a flat surface to make it into a cylindrical shape. This lac is then heated slowly over the coal burner. The heated lac is continuously pressed and rolled over the flat iron plate with the help of wooden tool. 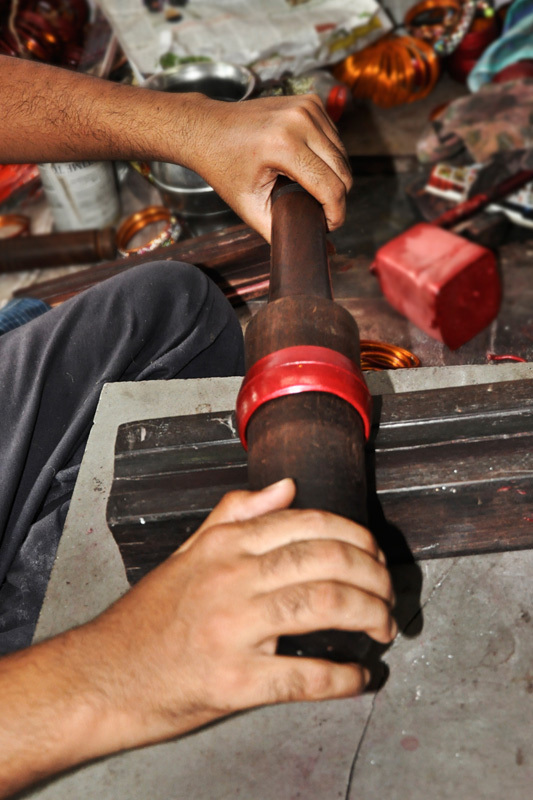 The colored lac is heated simultaneously and then applied evenly by rubbing it on the lac. 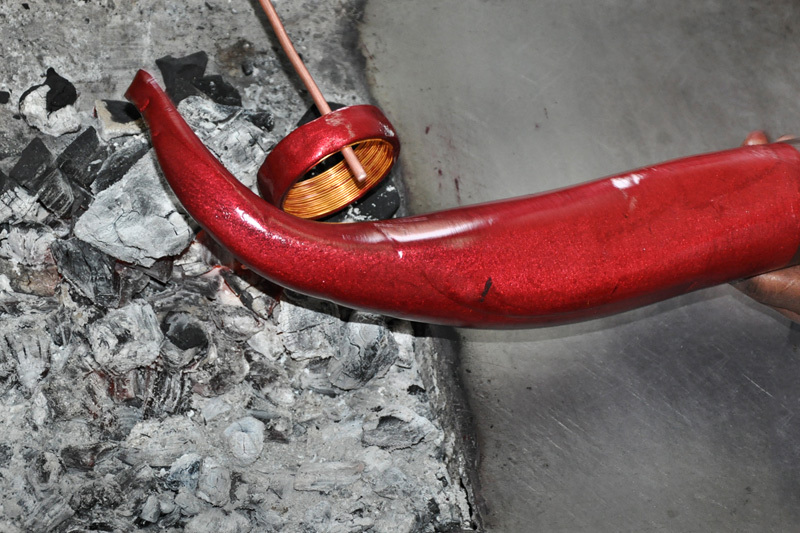 Once the color has been applied to the lac base it is again shaped into a thin coil and cut off from the plain lac rod. The width of the bangle varies as per the design incorporated on the bangle. Brass or steel is used as base for the lac. 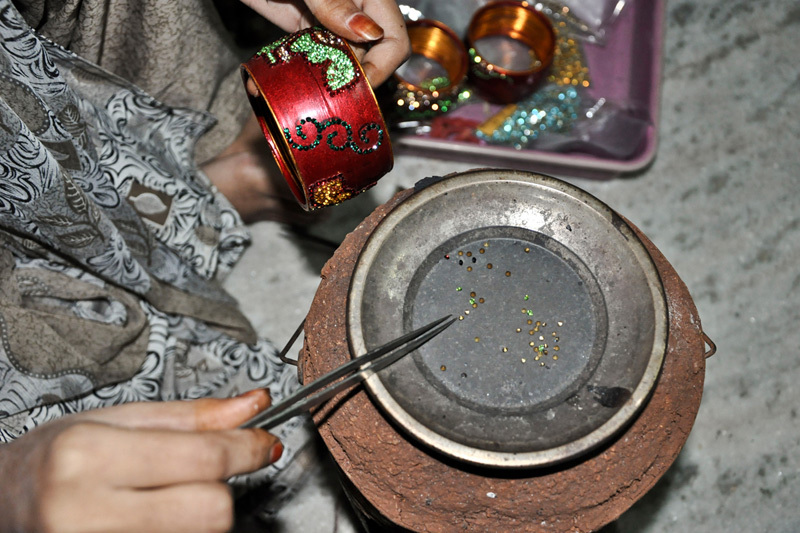 The metals are first converted in the shape of the bangles and the thin lac coil is rolled on the brass or steel base. 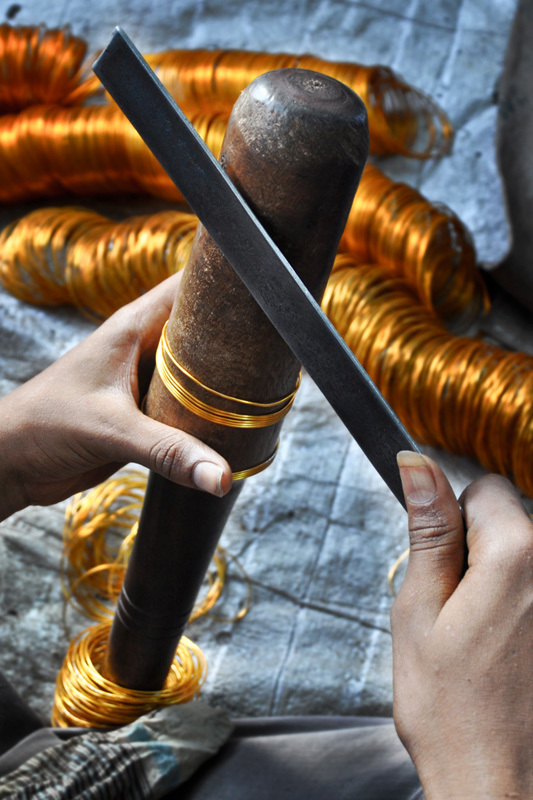 For a thin lac bangle 3 thin brass bangles are kept together and on that lac coil is rolled, incase of steel base, the base thickness is made according to the required width of the bangle. 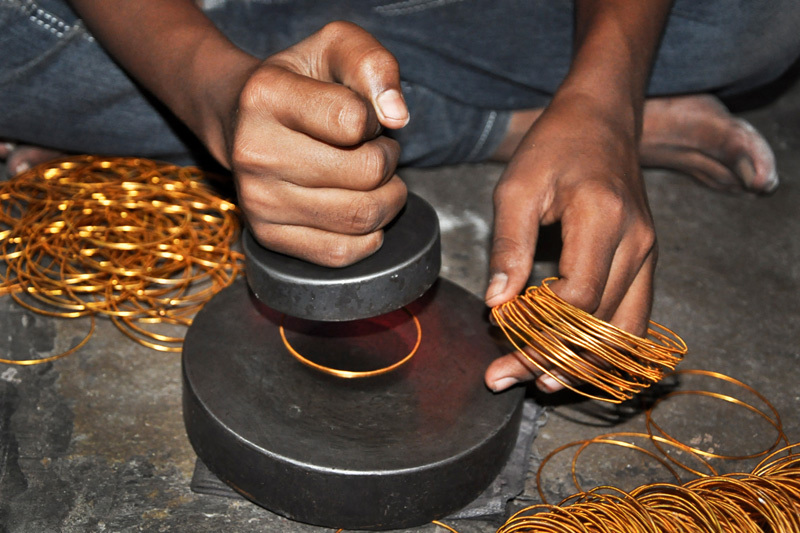 The thickness and the length of the coil approximately depend on the final shape and size of the bangles. 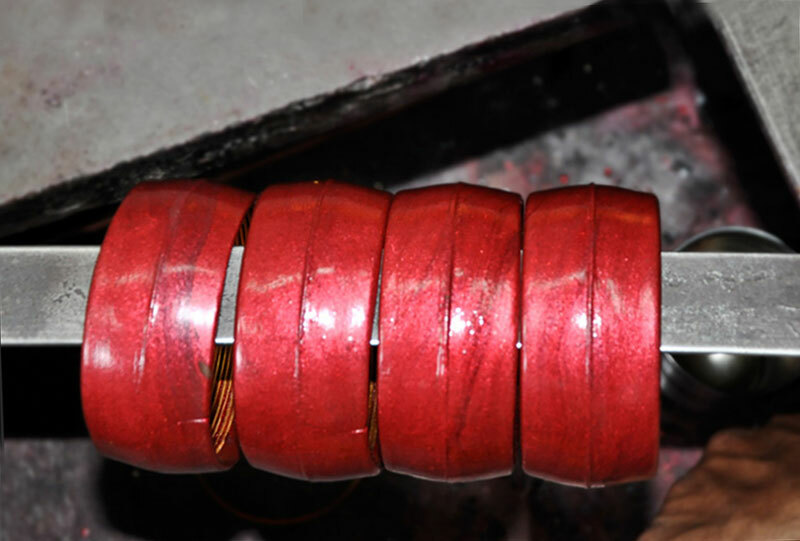 The semi-finished bangle is slipped into a round wooden beam with a tapering end for adjusting to the proper shape. 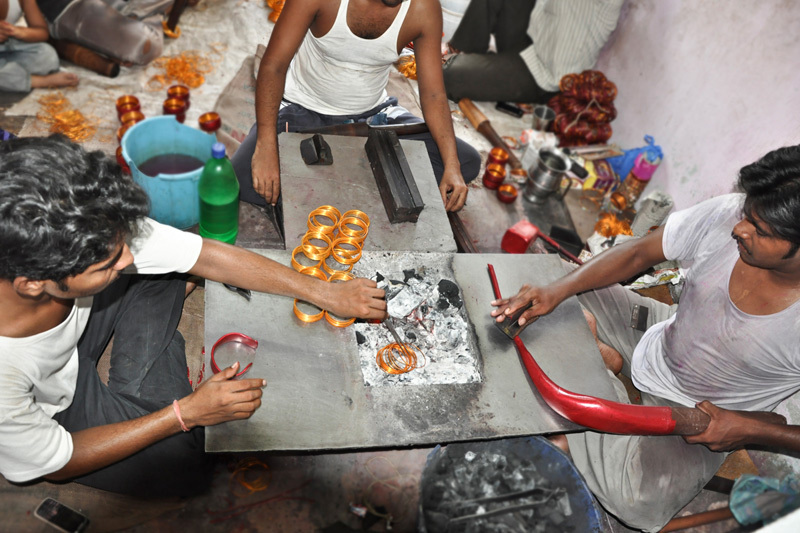 The bangles are kept aside for drying. 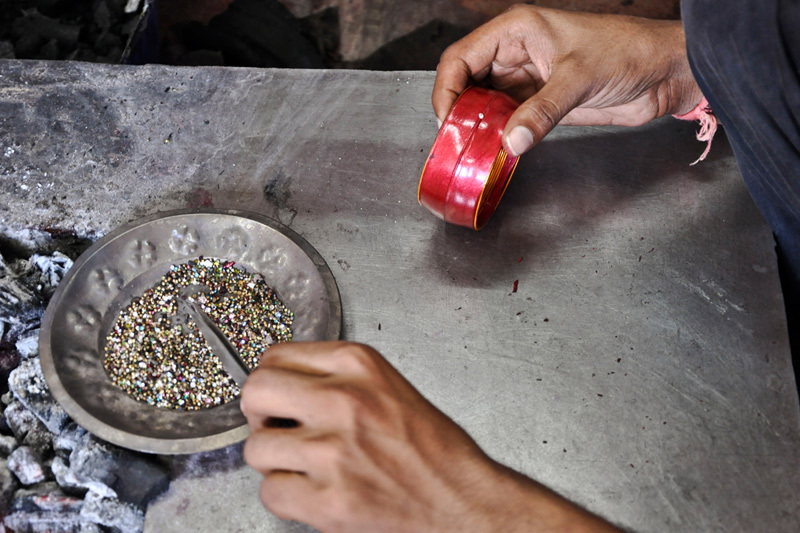 The bangles are normally embellished with pearls, semi-precious stones, mirrors, beads etc. 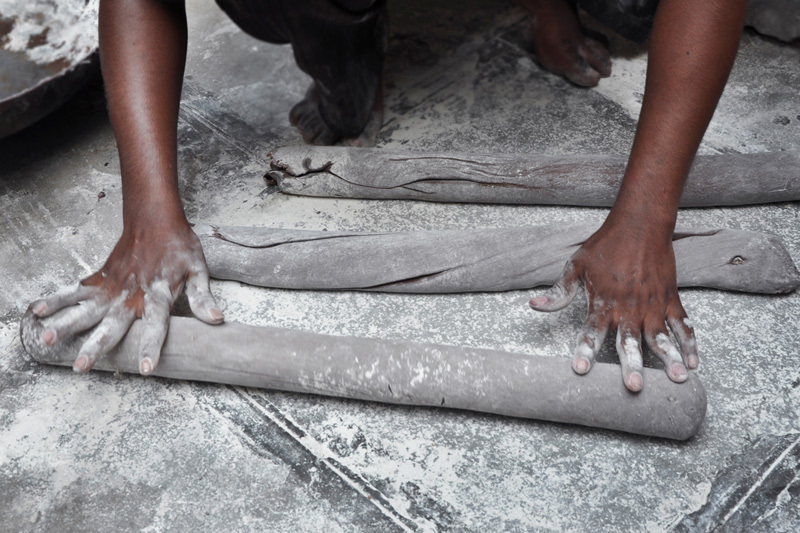 For applying the stones, they are heated over a tin plate kept on a small burner. The base of the stones gets heated and easily melts the lac surface on which they are placed and stick there after cooling. They are picked up one at a time and stuck on the bangle. The process requires great precision. 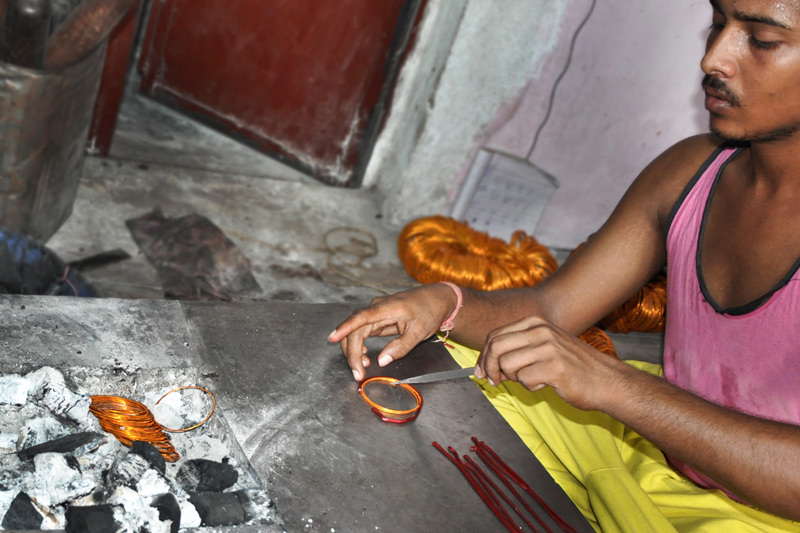 The women members of the artisan’s family do the embellishments.